I know we said no gifts. But lets be real, it never ends up that way. ;) Size Small. Is that ok? Or do you need to lick this one too? 48 days people!! GET PUMPED! Ok. The Pens are taking waaaaaaaaay to long to seal these deals. July 1st is coming up all too quickly and so far the only favorite of ours to be resigned has been Craig Adams. We’re not complaining–trust me, not at all. After our road trip to Pittsburgh this past March, S&I got to see just how awesome of a guy he is. The list of all the Pens UFAs and RFAs is just as long as their injured list this past season. EEEEP! That’s right, I’m in panic mode. Some of S&I’s favorites happen to be on that list and there is nothing we can do but sit back and wait for the news. Talk about feeling helpless. S thinks I’m crazy and yes I realize it’s the industry, but I can’t help but get so upset when/if my favorite player from a team suddenly disappears for good. I am PRAYING to hear good news soon…praying. There are a few on that list who I don’t think have a snowballs chance in hell of coming back, like Mr. Duff –I mean, Mike Comrie– and Arron Asham. 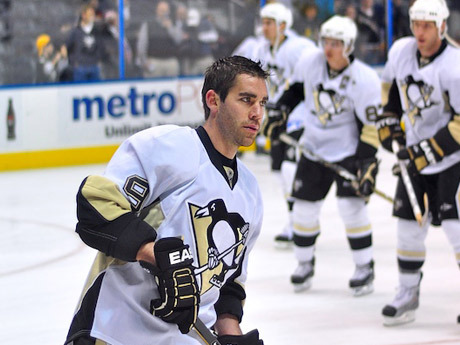 And then there are these 4: Tyler Kennedy, Pascal Dupuis, Mike Rupp and Max Talbot. All of which S & I love. Love with a capital L.
Where do we start on Dupper. We truly got to see his personality from the HBO Special. I wont lie, he wasn’t on my top list until I watched the series. And then throughout the season you got to see just how much he was needed on the team, in the locker room and on the ice. Sign Dupper. TK is the guy on the team that makes S&I giggle. Not like a “OMG! 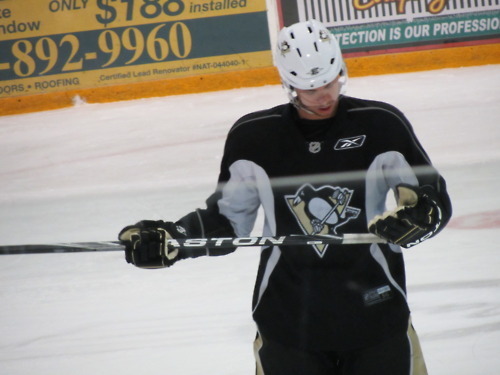 It’s Jordan Staal/Kris Letang” giggle. A “OMG! He’s frickin adorable” giggle. Maybe it’s the way he does the weather. 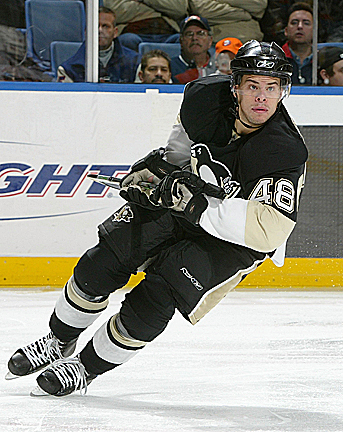 Or the way he almost skated right into Cooke when S&I caught his attention at Southpointe one morning. Anyway, this is not the time to talk about adorable-ness. TK has a killer slapshot. He’s a true sniper and goalies hate him. 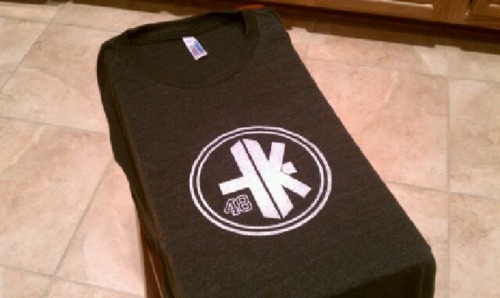 You gotta sign TK.